OrigamiUSA has sponsored and/or supported three conferences on origami, mathematics, science, and education. The three conferences all produced proceedings books, composed of papers submitted after the conference was complete. You can see descriptions of the three proceedings books at the links below as well as purchase them from The Origami Source. 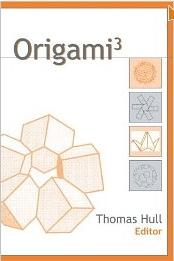 Origami3, proceedings from the Third International Meeting of Origami in Science, Mathematics, and Education in 2001. [buy it from the Source]! 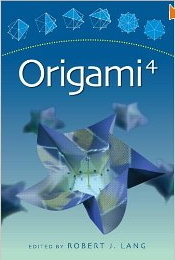 Origami4, proceedings from the Fourth International Meeting of Origami in Science, Mathematics, and Education in 2006. [buy it from the Source]! 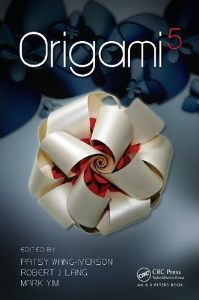 Origami5, proceedings from the Fifth International Meeting of Origami in Science, Mathematics, and Education in 2010. [Contents], [buy it from the Source]!